Preliminary ProceduresRemove the air cleaner outlet duct. Refer toAir Cleaner Outlet Duct Replacement.Remove the ignition coils. 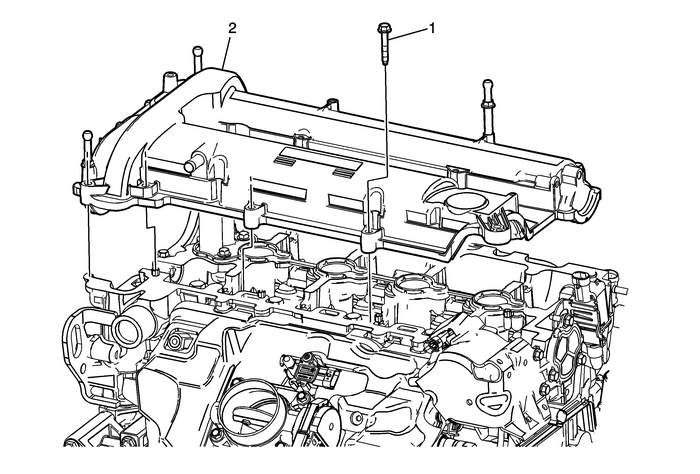 Refer toIgnition Coil Replacement.Remove the intake and exhaust camshaft position actuatorsolenoid valves. Refer toCamshaft Position Actuator Solenoid Valve Replacement. ProcedureDo not reuse camshaft gasket. Also use a new gasket whenremoving or replacing camshaft cover.Remove ignition coil wiring harness clips from the camshaftcover.Remove the fuel line bracket from the camshaft cover.Transfer components as necessary.